This landscape exhibition presents the landscape in all its many differing forms. From its vastness, to its rocky mountains to its still quiet vistas. We live on one Big Bad Land. Exhibiting artists: Sally Reynolds, Belinda Street, Libby Cusick, Catherine Greive, Laura Wilson, Malcolm Sands, Shelagh Lummis, Gwendoline Lewis. WHEN US-born conceptual artist Laura Wilson arrived in Australia in 1992 she wondered what it meant to be Australian. She now believes she knows the answer. “I thought more about indigenous people and thought about what everyone has in common when dealing with the landscape,” Wilson said. “I distilled it down to resilience … and it’s different to any other country that I have seen. Wilson will take part in a group show Big Bad Lands at Gallery 139 this month. 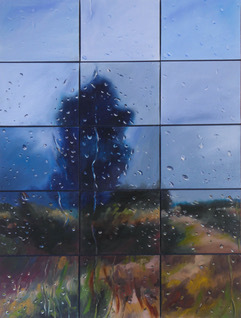 “It looks at the harshness of the Australian landscape,” Wilson said. Wilson is exhibiting 10 pieces of work in the show, some of which reference the banksia tree. “I thought about what was the most resilient flora, and it’s the banksia,” Wilson said. “Then I looked at bushrangers. 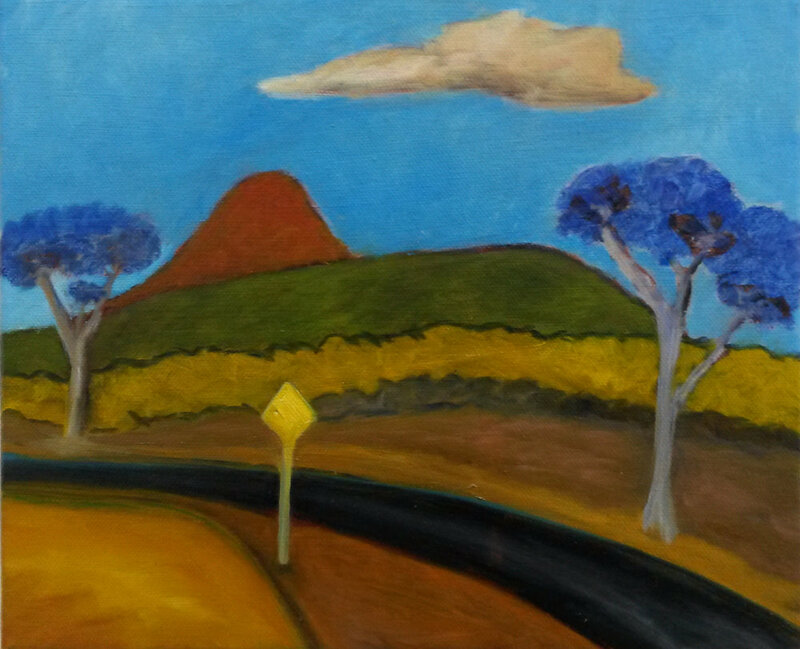 In a nod to Sidney Nolan one of the works has an obscure reference to his Ned Kelly series. “Sidney Nolan’s work is just beautiful, and it’s iconic and Australians just seem to love his work,” she said. Wilson’s works also explore Australian tourism. The exhibition will feature a large wall hanging which quotes advice given to tourists about facing-off with “aggressive magpies”, how to deal with an angry kangaroo, redback spiders, venomous snakes, bushfires, crocodiles and sharks. Big Bad Lands opens at 2pm on July 22, with the exhibition running from July 20 until August 6. The show also features Sally Reynolds, Belinda Street, Libby Cusick, Catherine Grieve, Malcolm Sands, Shelagh Lummis and Gwendoline Lewis.